Louisiana Gov. Bobby Jindal is considering merging the historically black Southern University at New Orleans with the University of New Orleans, a move that faces stiff opposition from black lawmakers in that state. Earlier this week, Jindal ordered a study to determine the impact of merging the two colleges and placing the newly formed institution in the Louisiana State University system. Currently, SUNO is in the Southern University system, a large, historically black public college system. UNO is in the LSU system. "We see this as the beginning of a systematic demise of historically black colleges and universities in this state," said state Rep. Patricia Smith, who heads the Louisiana Legislative Black Caucus. The merger would be a virtual elimination of a historically black college, she said. 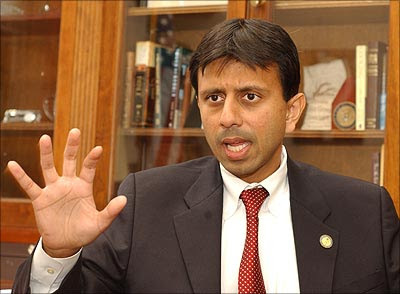 "(Jindal) did not discuss this with the president of Southern University, and he did not discuss it with the president of LSU before making the announcement," Smith told BlackAmericaWeb.com. "If the merger happens, the college should be in the Southern system." Jindal, a Republican, argues that students at both universities, as well as Delgado State, a nearby two-year college, may be better served through a merger. "Both UNO and SUNO, which are just blocks apart, are under-enrolled and have empty classrooms, while Delgado is struggling to meet the needs of the community with its limited space," Jindal said in a prepared statement. "We look forward to receiving the results of this study and implementing their study recommendations through legislation in the upcoming session. We will work with legislators to ensure that any savings from streamlining these schools to improve student outcomes will be retained by higher education." Jindal says he wants to raise the graduation rates at both UNO and SUNO. The graduation rate at UNO is 21 percent, while the graduation rate at SUNO is the lowest in the state at 5 percent, calculated over a six-year period. Caucus members say the governor has failed to take into consideration the challenges colleges and their students have had since Katrina hit in 2005. "We are now at about 97 percent of our pre-Katrina enrollment, and we still have another day of registration for the semester," state Rep. Austin Badon, director of community relations for SUNO, told BlackAmericaWeb.com. "Before Katrina, we had about 3,600 students, now we have about 3,400." "The caucus sat down and talked with the governor in December to discuss things that could be done to cut the state's $1.4 billion deficit, and he didn't say a word about this," Badon said. Badon is a graduate of UNO, but also took classes at SUNO. SUNO has a unique mission in providing a black college experience at a reasonable price of about $1,600 per semester in tuition, Badon said. Before Katrina, he said, SUNO was a commuter school. Now, the state has helped to build beautiful dormitories that look like apartments. Graduation rates fluctuate because not all students will finish in six years due to the challenges. studying the feasibility of merging the universities shouldn't be received as threatening. If it is a viable path for survival, I think it is a fair option. How the merger is done and how the legacy and history of HBCUs are preserved is most important and I think it can be healthily preserved if done right. I personally think little bobby is a direct reflection of the state in which he governs. I often hear people say "I'm not racism, Really!". But the truth is the vote reflects the sentiment of the state. Non-racist dont elect those whose agenda is racist. If these Universities are merged, closed or otherwise dismantled, They need to be! It seems we take our brother in law fishing right after he finished beating our sister. "No one can make a fool of you without your permission"